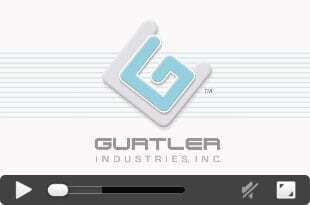 Gurtler Tunnel Vis-Tex System - Gurtler Industries, Inc. 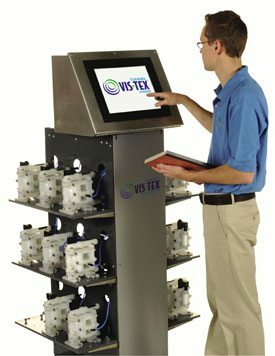 The Gurtler Tunnel Vis-Tex System features our uniquely designed space-saving Pump Module with more pumps to allow for the greatest flexibility for your chemical usage, meaning the best possible results with the lowest possible cost. Durable, new design diaphragm pumps require minimal service and can operate for 5 million strokes with no maintenance. Gurtler’s exclusively engineered Injection Module automatically calibrates the product injections to assure precise and accurate measurement of chemical usage, every time, all the time. This reliable and robust system mounted at the tunnel chemical injection point delivers real volumetric proof of injection results. The Data Module features a touch-screen programming monitor with full alarm and reporting capability. DataFusion compatible software and reporting capability. Fully customizable reports include production reports, chemical usage and more. Dashboard is customizable to allow for quick goal-tracking information. Networked system allows remote monitoring for maximum impact. Gurtler’s Tunnel Vis-Tex System reflects the commitment that we have for the market. Gurtler and our Technical Specialists understand what a tunnel operation needs to operate at high efficiency, and our newest system incorporates all the features that will make that a reality.